The reason I make music is that music lives in me and it has to get out. Since I started playing I've been making my own music. So I'm a 36 years old guitarist from Espoo, Finland. I've been playing guitar for 26 years and I also sing, play drums and piano. I work as guitar, piano and drum teacher, touring and recording session musician. I've played over on 10 albums and I've also made a solo album. I've been touring in Europe and China promoting my music and my 2nd solo album is being made at the moment. I was born in 1981 in Helsinki, Finland. I started playing guitar at the age of 10. From the early age I was strongly interested in music. I also played piano and drums but guitar was the most appealing instrument to me. The early days were spent with heavy practicing and learning everything about guitar. I studied several years in pop/jazz conservatory in Helsinki and finally entered the Stadia, Polytechnics in Helsinki from where I graduated as a guitar pedagogy. I have also always played in several bands and been the main composer in most of them. I have released about 10 albums to this day and more is to come. 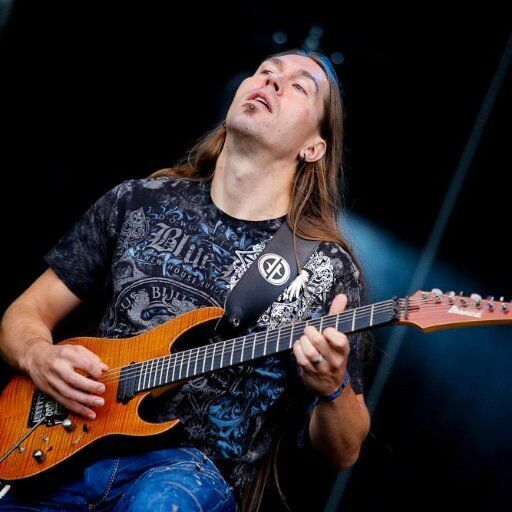 My main influences are John Petrucci, Steve Vai, Shawn Lane, Guthrie Govan, Andy James, Rusty Cooley, Pat Metheny, Stevie Ray Vaughan, Paul Wardingham, Jeff Loomis, Paul Gilbert and so on. Even tough these guys are mainly metal oriented players, I enjoy listening and playing everything from classical to jazz. My musical style could be described as progressive and technical metal. But even though I’m a big fan of guitar solos I pay a lot of attention to riffs and rhythm parts also. And yet I spend most of my time practicing technique, when it comes to composing the music comes always first. The solos are the last part when building a song.